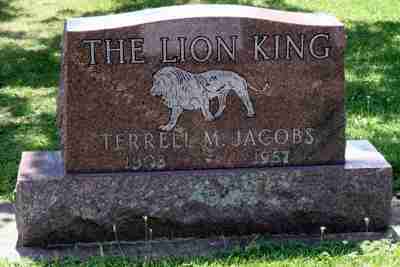 Terrell Jacobs was born in Indiana, on September 16, 1903 to Mary Jane and Charles M. Jacobs. 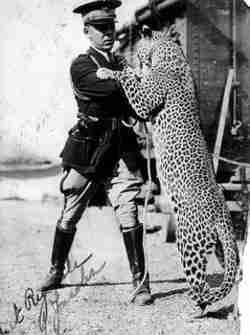 Jacobs known as "The Lion King" was one of the America's greatest wild animal trainers, in his 40 year career Terrell Jacobs was featured on 16 different circuses and carnivals and also owned his own circus. (see photo above, taken in Madison Square Garden in 1939, (Click to Enlarge)). In 1940 Jacobs purchased an eight acre farm in Peru, Indiana to serve as his winter quarters, he then built barns to house his large collection of circus animals. The structures still stand today and have been recognized by the State of Indiana for their historical value. The facility was later used as winter quarters for Jess Adkins and Zack Terrell's "Cole Bros. Circus" and has remained owned by show people ever since. 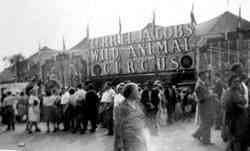 After leaving the Ringling show Jacobs started animal show which he exhibited at fairs and large carnivals. Bill Woodcock presented the elephants on the show and trained a new elephant handler Fred Logan who went on to become a great elephant presenter in his own right. In 1944 Jacobs took out his own truck show the "Terrell Jacobs Wild Animal Circus" the show however was short lived. 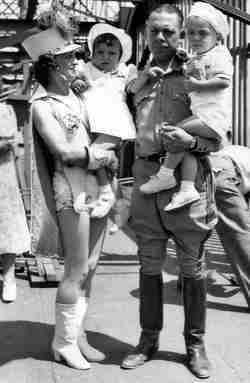 In 1945 Jacobs was divorced from his wife "Dolly" and forced to sell the circus. 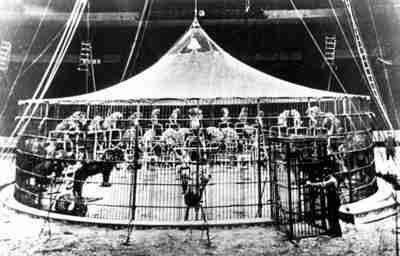 The show was sold to Arthur Wirtz who used the equipment to form the "Barnes Brothers Circus". 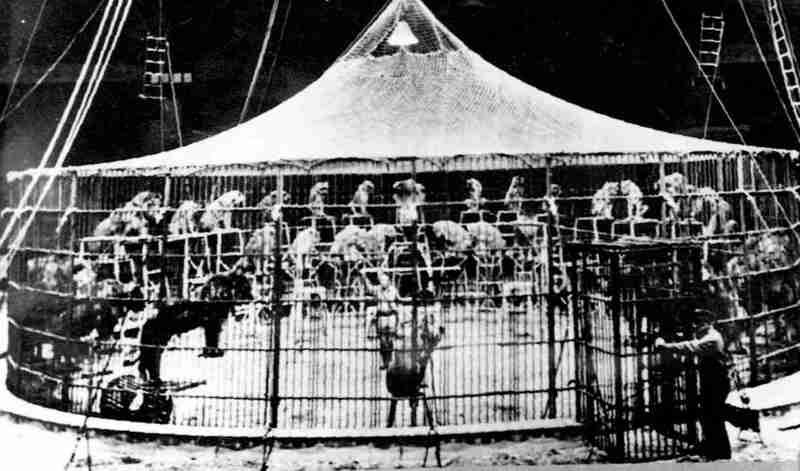 Jacobs remained with the show, working the animal act. After Barnes Terrell worked for Ben Davenport on the Austin Bros. Circus, which was the smaller unit of Davenport's Dailey Bros Circus. Jacobs career spanned over 40 years, at one time or the other he had worked for almost ever major circus in the country, Al G. Barnes, Sells-Floto, Christy Bros., Lee Bros., Robbins Bros., John Robinson, Gentry Bros., Howes Great London, Gilbert Bros., Holland Classical Circus, Arthur Bros., Barnes Bros., Al G. Kelly-Miller Bros. 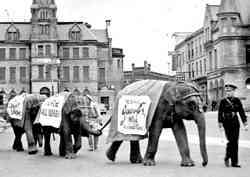 Circus, many large railroad carnivals and he was featured at the 1940 San Francisco World Fair.